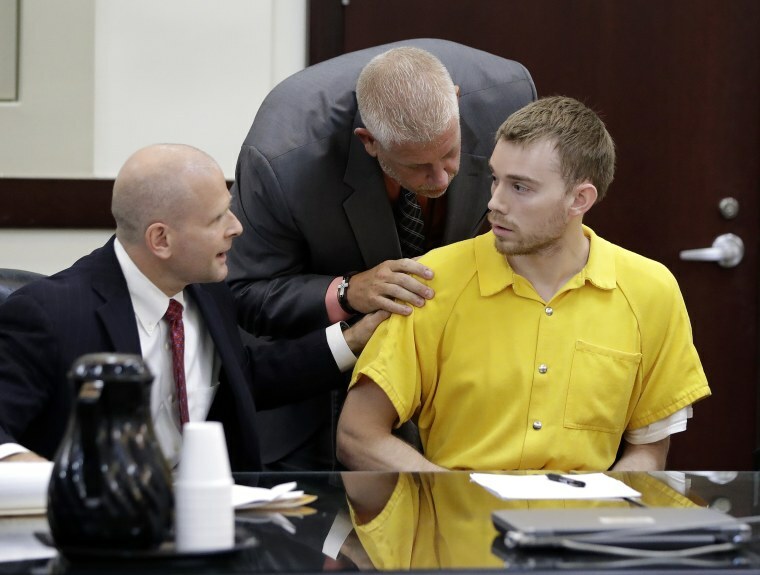 Travis Reinking, 29, learned his fate in court just feet away from the man who authorities say wrestled an assault-style rifle away during the April shooting in Nashville that killed four people. It was the first time James Shaw Jr. saw Reinking since the act of heroism that has since landed him budding celebrity status. Shaw, who has been hailed as the hero who disarmed the gunman during the April 22 shooting, wore a T-shirt and shorts as he watched the proceedings from the audience. He gave a few hugs on his way out and did not speak to reporters. The one-time crane operator bounced between states and suffered from delusions, sometimes talking about plans to marry singer Taylor Swift, friends and relatives have told authorities.